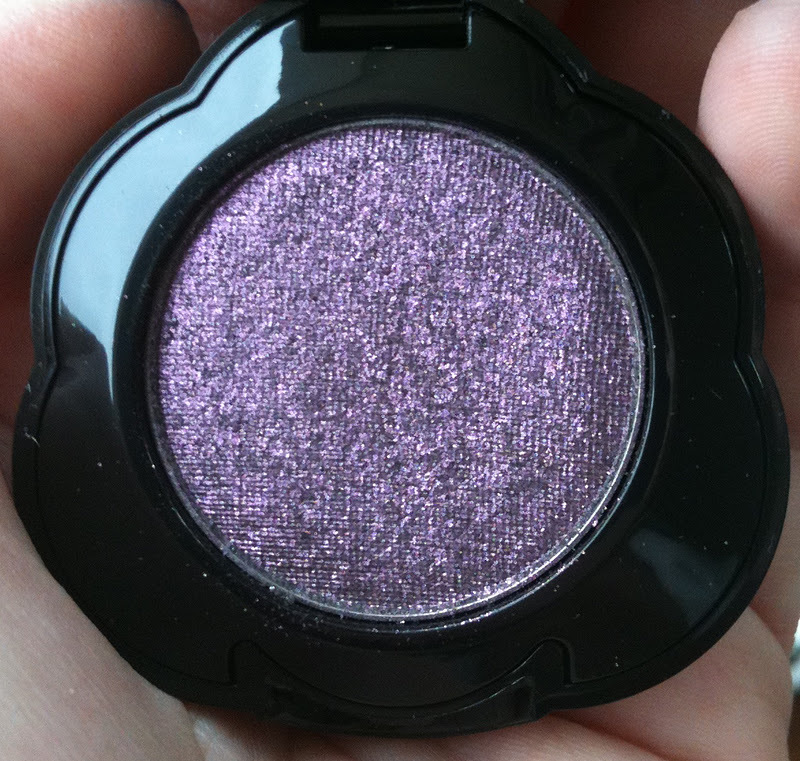 For my birthday this year my mom got me Too Faced's Exotic Color Intense Shadow Single in Poison Orchid. 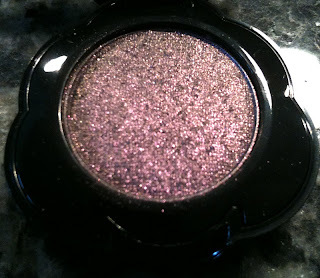 I'd been eyeing this shade for a while as I had swatched it when they were first released and was amazed by the shimmer but as they are rather expensive at $18 USD a pop I never took the plunge. I'm so glad I received this though as Poison Orchid is incredibly unique and super sparkly. I've left a whole slew of things at school as I was so sick non-essentials were abandoned and promptly forgotten. I was focusing on trying to breathe- then it turned out that I was much sicker than I thought and I've not made it back to school and so most of my blogging things are there. 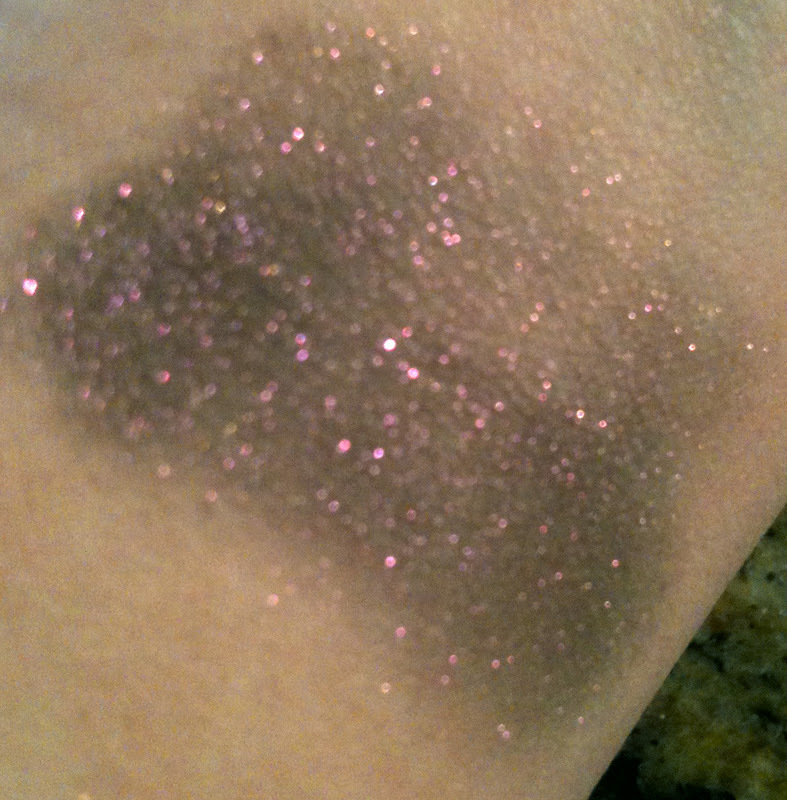 Thus, my swatches are only on Too Faced Shadow Insurance. This shade is amazing on but it does have quite a bit of fallout, so it really does need a sticky base like Fyrinnae's Pixie Epoxy. Poison Orchid is a charcoal-purple base with violet shimmer throughout. It has a duochrome effect to it as well as you can see when you compare the two pictures below. The packaging is adorable- flower shaped with a little window in the lid so you can see the shade inside. It's a hard black plastic that seems quite sturdy and is easy to open and close. However it picks up finger prints and powder like crazy. On the eyes this creates a very easy purple smokey eye that requires no real work to achieve. 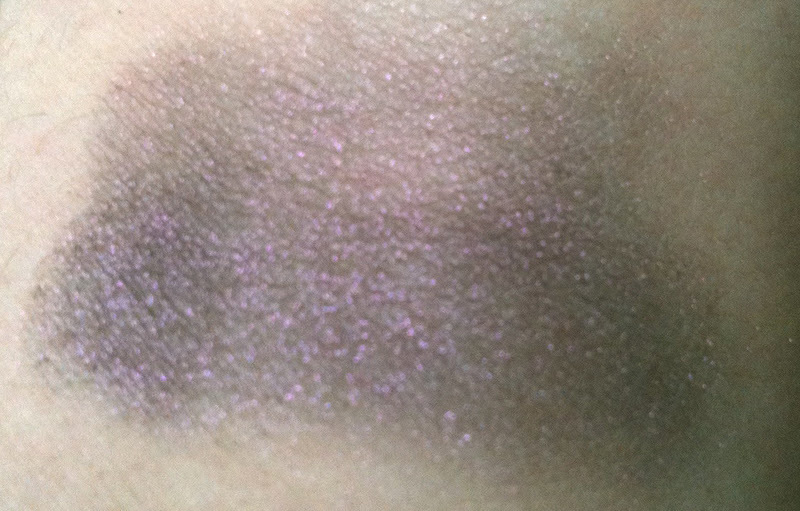 It has good pigmentation and the shimmer/glitter bits don't have any discernible feeling to them unlike some glittery shades I own. 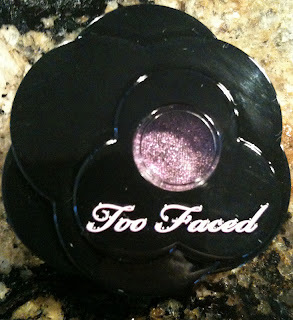 You can get this shadow from the Too Faced's website, from Sephora or any other Too Faced retailer. This really does look better in real life but I think you can get an idea of the shade from the above shots. Poison Orchid is truly unique, I don't own anything similar at all (which is amazing as I own waaaay to many purple eyeshadows). Overall, though I do think that these are priced too high I am really digging Poison Orchid. The colour is unique and sophisticated, perfect for a holiday party. I'll try and get an eyelid shot up of it soon. Sprite Rating: 8/10- lost points due to fallout issues and high price. So glad you love it! I was really happy when I picked it up because it is so beautiful.